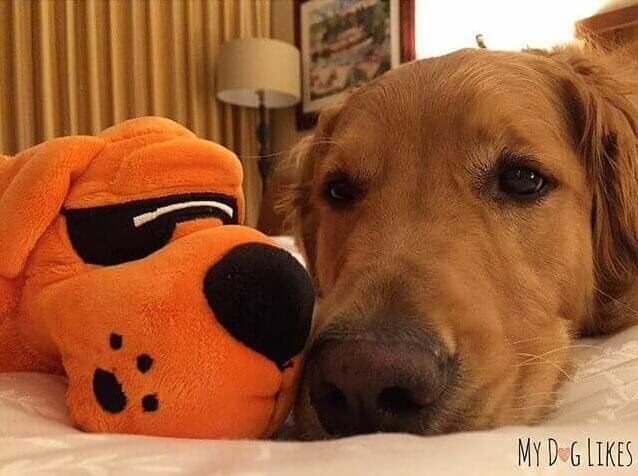 Although we were up early on Friday for the first full day of the BlogPaws Conference, it felt great to get a full night of sleep and know that we wouldn’t have to pack everything up and get on the road again. Compared to our other stops which were only about 6 hours, the Sheraton Grand Wild Horse Pass was beginning to feel like home! As I already shared, our room was amazing and the hotel was so welcoming to all 4 legged friends including dogs, cats and even ferrets and rats. 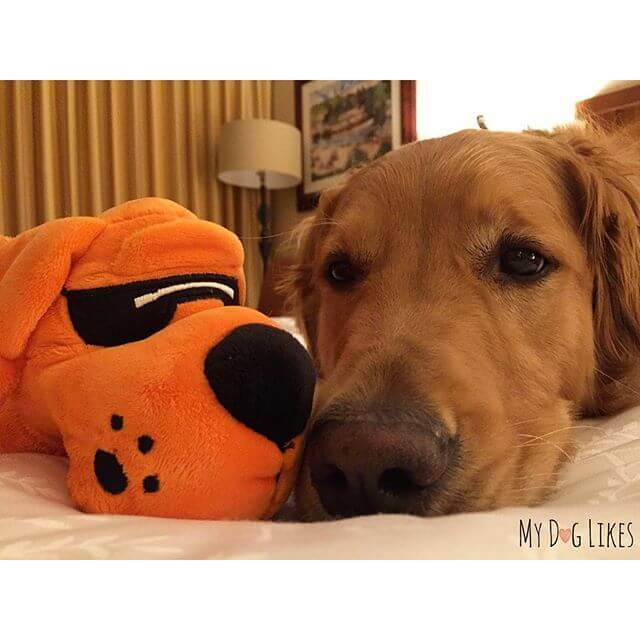 However, no matter how accommodating a hotel, there are always some challenges in taking care of dogs on vacation like coordinating potty breaks, feeding the dogs (especially if you feed raw/homemade), and keeping the dogs stimulated and exercised. We will share some of our favorite tips with you in another post, so if you are thinking of traveling with your dogs, check back in later! 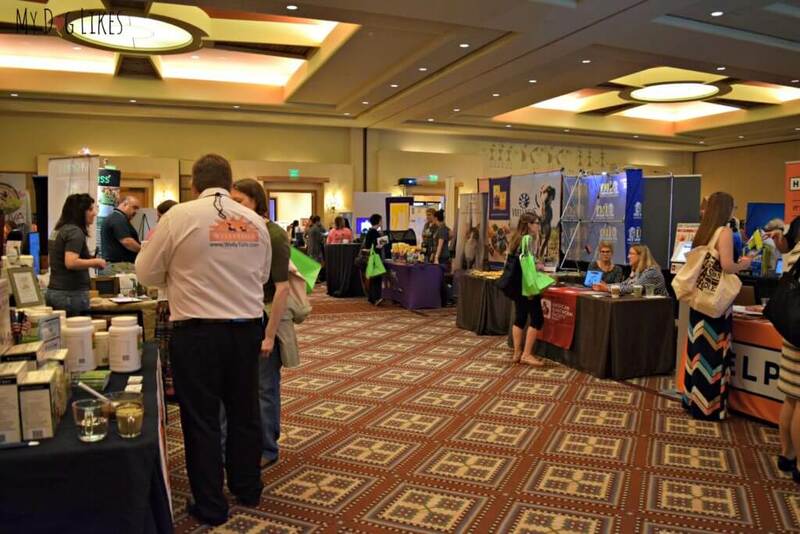 BlogPaws Pet Blogging Conference is a 3 day event packed with educational sessions by leading industry professionals. On top of that is a booming exhibit hall that gives bloggers/influencers an opportunity to connect face to face with some of the top brands in the pet space – so that we can continue to learn more about the wonderful products and services that are helping pets to be healthier and happier. 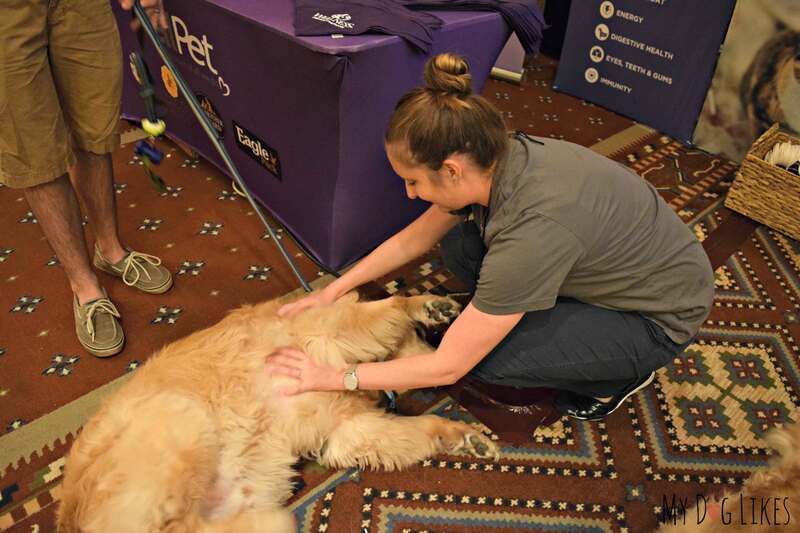 By far, one of our favorite things about the BlogPaws Conference is that it gives us an opportunity to connect in person after forming relationships online. Photography – I took a photography session with Monique Rodriguez from Silver Paw Studio, which I LOVED. At the end of the session, I only wished that it had been a 3-hr workshop! I know that it would be a HUGE success because in a session that was half as long, Monique provided several practical tips for improving my photography of pets that could be implemented right away. Monique was also so down to earth and approachable, it totally made me think “I can do this too”! Website Development – Kevin took a class with Jessica Shipman from Beagles and Bargains which he described as amazing! Jessica was able to take some scary topics to bloggers (web development, security, and back end administration) and explain them in a way that was not at all intimidating! Jessica just launched her own company where she provides technical assistance, coaching, and support to bloggers. Check out her beautiful site, here. Social Media Hacks and Tactics #Hactics – Kev and I signed up for a session together on social media with Carol Bryant (Fidose of Reality) and Maggie Marton (Oh My Dog Blog). 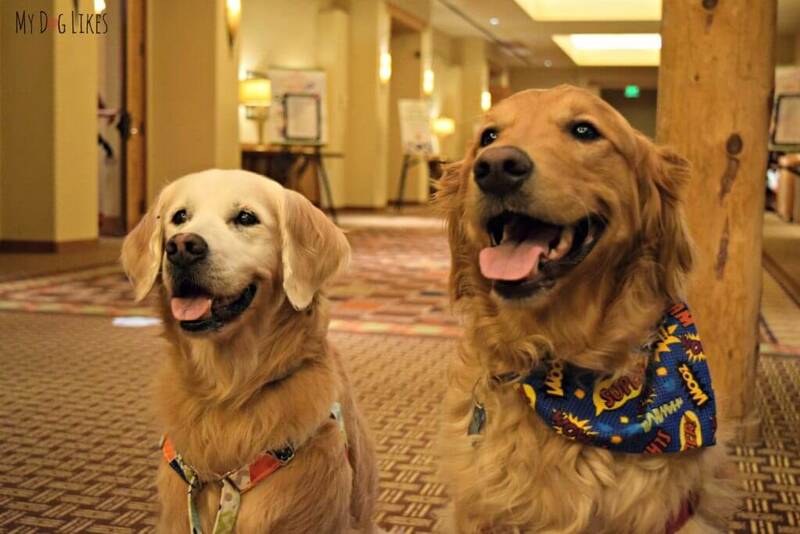 These two experts also work for BlogPaws, the organization who put together the entire conference. We learned some great tips on how to maximize our reach and grow our audience. We also learned some helpful shortcuts and “hacks” to reduce the amount of time that we spend on Social Media while still connecting authentically and sincerely with our online community. Pamela Wilson is a successful business woman who founded Big Brand System, a web community that teachers business owners how to use marketing and design to create and hone their brand. Today she is Executive Vice President of Educational Content for Rainmaker Digital, formerly Copyblogger Media. Pamela shared a 4 day approach to writing content. Kev and I hope this new process will help us to improve how we work and produce better quality blog posts on a consistent schedule for our readers. Blogpaws offers “dog park” rooms for play or quiet rest, but the dogs are also allowed to stay with you and attend sessions. Harley and Charlie are so adaptable that we opted for this route and we were so proud of how they behaved during the classes – although I did catch them dozing a few times! Every year a select group of bloggers are chosen to participate in VIP events hosted by conference sponsors. This year we were invited to attend a number of VIP events with brands/organizations like PetSmart, AAHA, and Wellness. Unfortunately, we had to decline a few events because of our travel schedule. We were so excited to be able to sit down with Wellness and learn more about some of the new treats they have coming to the market! This year we were also generously offered the opportunity to be sponsored at the conference by a brand which would have paid for our all of our travel expenses and registration fees. 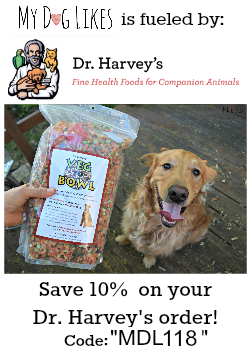 While we know that this brand is popular with many dog parents, we didn’t feel that it was as closely aligned with our mission and graciously declined. Overall, we want to give a big shout out to all of the sponsors who helped to make this conference happen. 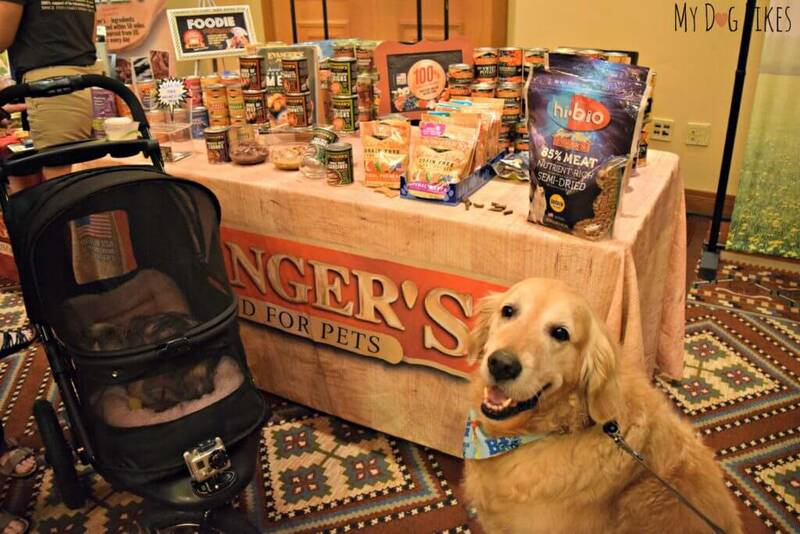 Conference sponsors/brands help to make the magic happen at BlogPaws, while keeping the costs of attendance low. I have attended many conferences in my career none of which compare in value. One low registration fee covers three days of events, speakers, and food. All of this is possible because of the wonderful sponsors who value the voice and influence of pet bloggers! Guess who is turning 15? 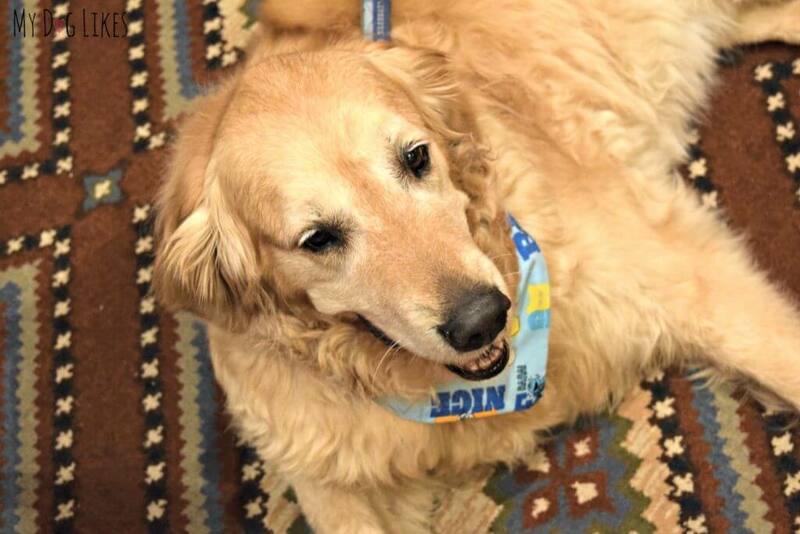 Sugar, from GoldenWoofs, who also happens to be one of our favorite golden gals! We had the opportunity to celebrate Sugar’s 15th birthday and gave her lots of golden hugs and kisses. We just love Sugar and were so happy to FINALLY meet her and Mom (Rosalyn) after being online friends for so long! 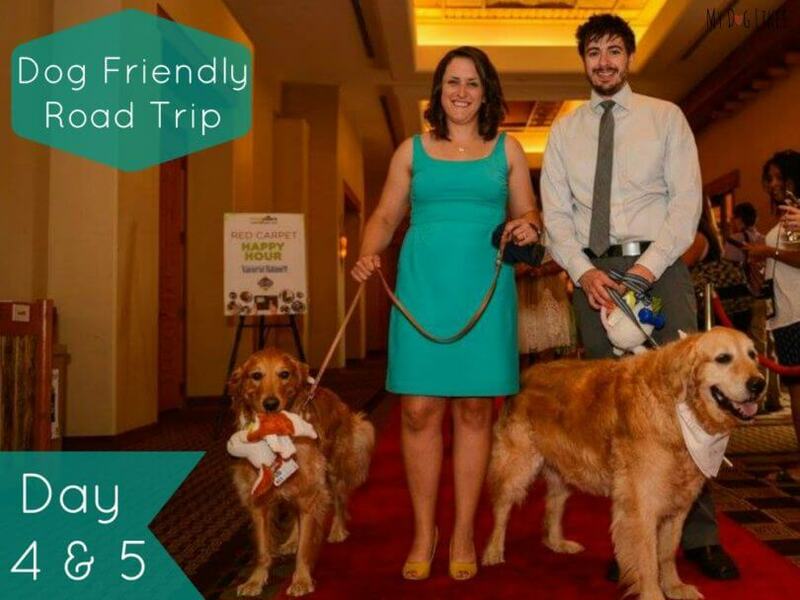 BlogPaws would not be complete without a red carpet event! The Nose-to-Nose Awards were created to honor and recognize individuals who have achieved excellence on their blog or social media accounts. We were not nominated this year, but its always fun to dress up, have fun with the pups, and honor our peers who have been recognized! If you are looking for some new blogs to check out, this list of nominees will not disappoint. 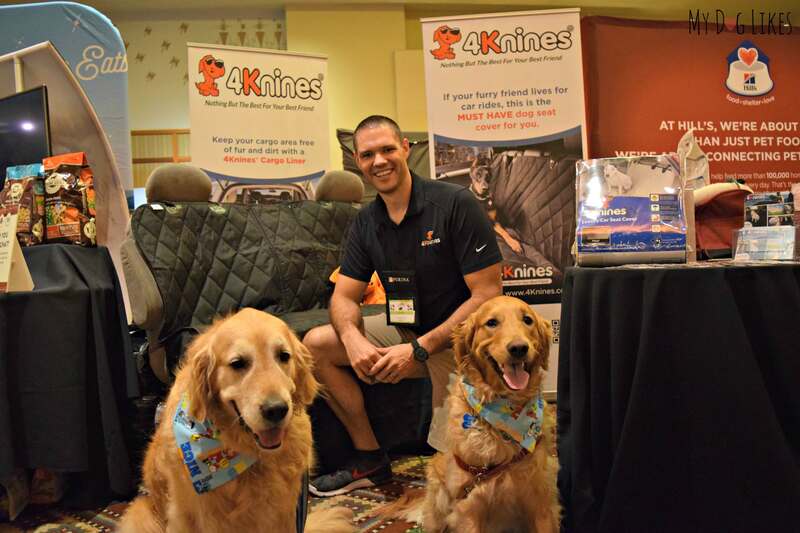 One of our favorite parts of the BlogPaws conference is connecting and catching up with our online blogging family. Throughout the year we spend a lot of time working together and helping each other out. There are a lot of behind the scenes connections that help all of our blogs run better and connect with you, our readers, more. We were so happy to talk to friends, new and old, because it helps us to feel refreshed and invigorated about what we do. We are excited to see how we will grow personally and professionally before the next BlogPaws conference in Myrtle Beach (May 18-20)! Arrive Early: We were disappointed that we were not able to attend some special VIP events that were taking place on the Wednesday before the conference. Next year we will make sure to book an extra night. Not only will this give us the opportunity to attend any special events (should we be invited!) but also more time to visit and catch up with friends. Looks like a great time and it’s great that great info at Blogpaws. Oh and I am jealous you got to meet Sugar she is such a cute pup. Ahh yes! We were so happy to meet Sugar!! OMD!! I never realize that Blogpaws was so big and had some many wonderful beautiful dogs. Looks like you can learn a lot by attending. I love reading dog blogs and have learned so much from the blogs. Looks like everyone had a good time learning a bone full of information! So many dogs Sharon, you would love it! Thanks for standing up for your values & not accepting a sponsorship from a company that you felt was not a good fit. At least Myrtle Beach will be cooler than Phoenix for the dogs next year! Thanks, that means a lot. 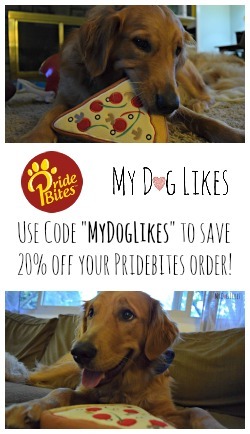 We think it’s really important to only promote the best of the best for our dogs and yours! We don’t want to recommend something that we wouldn’t use for our own dogs! We so missed being there, but it wasn’t meant to be. Can’t wait for Myrtle Beach in 2017! We didn’t know Jessica had started her own business, so thanks for posting that and the link! Yes, Jessica is amazing and so knowledgable! We missed you and hope to see you soon! We are passing through Minnesota on Sunday, any chance that works? I think taking the photography session would of been fun. What a great conference, I was the purchasing manager for a cruise line so I know how crazy it can be it looks like blog paws really knows how to put it together. It’s also good to see you mention some of the other dog bloggers I familiar with and that you all have a good relationship. Yes, none of us could do the work we do with out the support of each other! Wow, I’m impressed you were about to sum up two days in one post! With so much going on my post would have been 10x as long! BOL! We arrived Tuesday and were happy we did. It gave us some down time before event started! The photography session was my favorite session! I know what you mean! 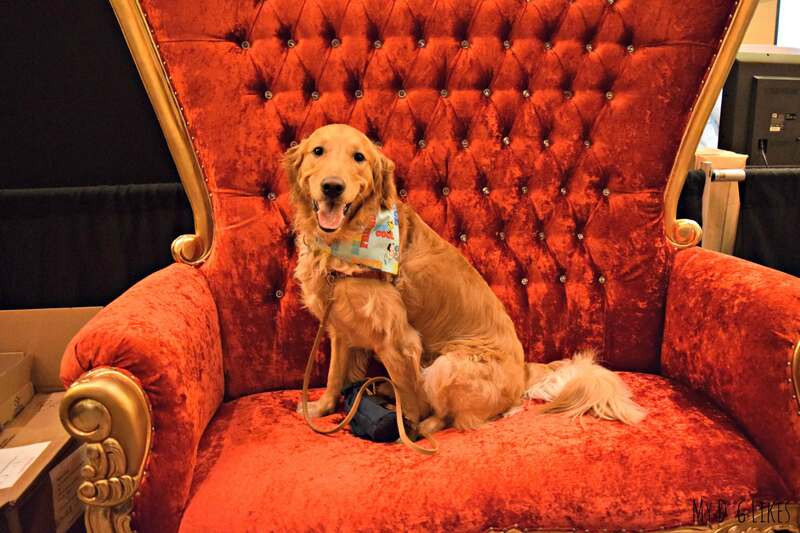 We will likely end up writing more about BlogPaws 2016 it in a later post, but wanted to at least run down some highlights in our travel series! Those red carpet photos look so great! So much fun yall are having! Sounds like a lot of fun. The photography session would have been my favorite! This sounds so fun, I’m Jealous! I would love to see one of these and walk around visiting the different booths. great pictures. i just love that you and some other people visited Flea on your way since she could not go this yr. i get her emails. that is just the nicest thing. i am sure she really appreciated seeing everyone. i get many of the emails from the people that you spoke of. what a haul of loot, a lot of knowledge and what fun meeting so many dog and pet lovers. i just love Sugar, she has the best smile. i hope she had a wonderful big bday and many more happies. i am familiar with Wellness, great cust service. i use Holistic Select which is made by them. So neat that you got to meet Sugar! Sounds like you guys had a great experience! I think the best part of the conference would be that it is so dog friendly, I’m lucky to live in an area that we can take our dog into some of the hardware stores and get dog treats at all of the drive thru coffee stand but it would be fun to take him anywhere we want to. We wish everyplace was dog friendly! I don’t have another post to comment on yet so I hope you are having fun exploring! I would love to take a photography session, I bet you learned a lot! i really envy you seeing all of those wonderful places. i have not traveled in many yrs. i dont like to leave my 3 gals at home and it is a lot with just me and 3 girls to travel. my oldest cant travel anymore anyway….too much for her. i just love seeing the videos, and the pictures. i bet your kids are having the time of their life as well. too bad they cant talk “human”. love seeing the pictures on your fb page. just wonderful, thank you so much for sharing your adventures and the landmarks which many of might never get to see. I love that sugar from Golden Woofs celebrated her 15th birthday and she looks really good for her age. I’m looking forward to more post’s of your trip also following a long on Facebook. I bet the website development class was really interesting! Wow! BP was only day 4&5 🙂 It was great to meet you. I did not have a fav session but enjoyed our breakfast social media breakfast with NV and the keynote speakers. Love the pictures. I also feed raw and homemade. Sounds like you are having a great time and so are Harley and Charlie especially the belly rub. Seem like you have a nice trip there! Wish I can be there for once! So sorry we didn’t get a chance to connect. Will definitely look for you all in 2017. I loved the Social Media Hacks & Tactics as well. Also, loved the speakers.